On Friday night some of our female staff here at The Little Nell had the pleasure of experiencing Wine in Heels — Aspen’s first and only all-women wine club. 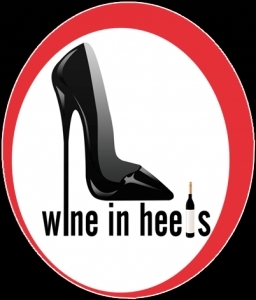 Taught by advanced sommelier Vilma Mazaite (whose day job includes working as The Little Nell’s assistant food and beverage director), Wine in Heels is about fusing wine and food in an accessible, fun and delicious way. The class features food from executive chef, Sarah Helsley, who worked as chef de cuisine at The Little Nell until recently striking out on her own with M&M Home Dining Services. Throughout the summer and early fall, these Friday night classes bring 25 women to the stunning rooftop of the Dancing Bear in downtown Aspen. 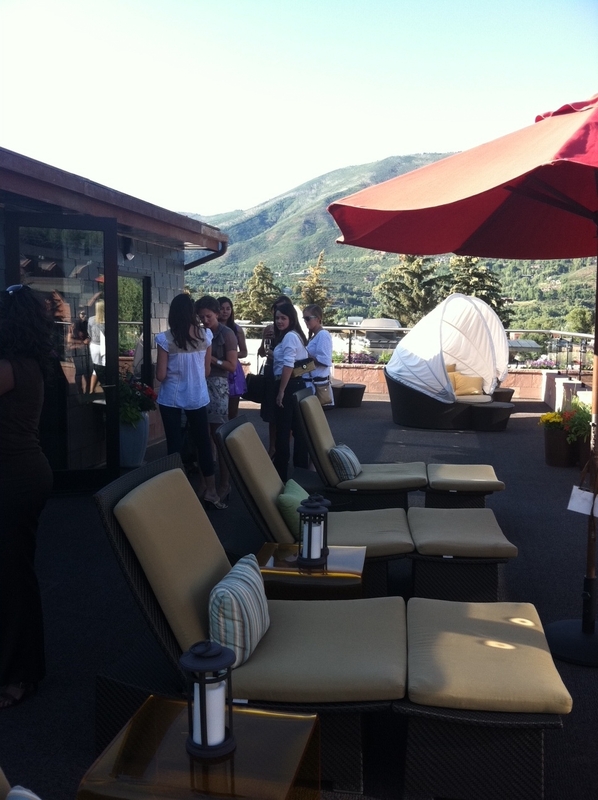 Upon arriving on the elegant terrace, we were met with prosecco and passed nibbles, like delicious “garlic knots.” Socializing on the deck in the Aspen sun, wearing our best heels of course, was perfection in the early evening sun. Excellent views can be had from the Dancing Bear rooftop terrace. The July 29th Wine in Heels theme was “Wine and Pasta,” so Chef Helsley whipped up a variety of fresh and dried pastas for our group. A favorite was Helsley’s walnut pesto orecchiette pasta (topped with fresh squash blossoms), which was paired with Sartarelli, Verdicchio dei Castelli di Jese, Marche, Italy ’10. 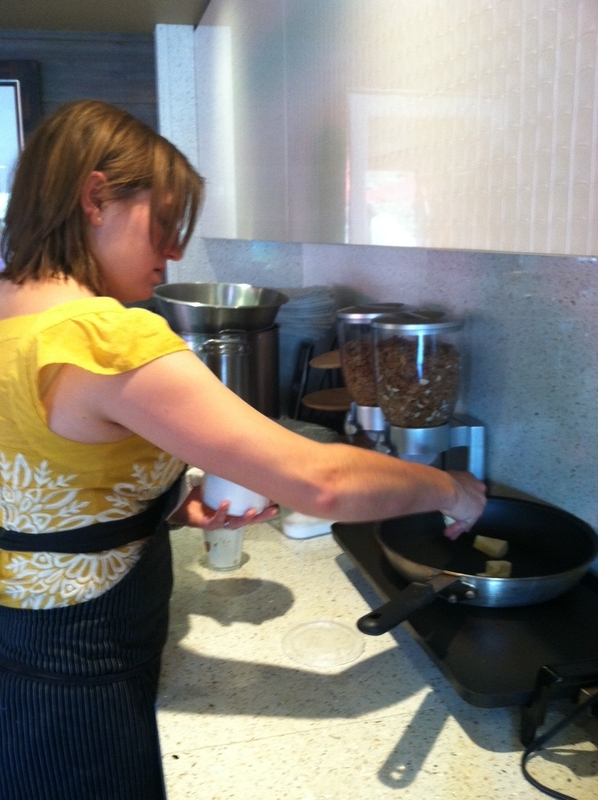 Helsley begins cooking with a touch of butter. The light, balanced wine was delicious, and an excellent alternative for those who like pinot grigio and want to branch out. It comes from the central, east coast of Italy and is great matched with seafood, but also works well with pesto. Mazaite explained that when wine is served extremely cold, it “shuts down,” so she opts to let her Verdicchio (and other white wines) sit at room temperature for half an hour before serving. 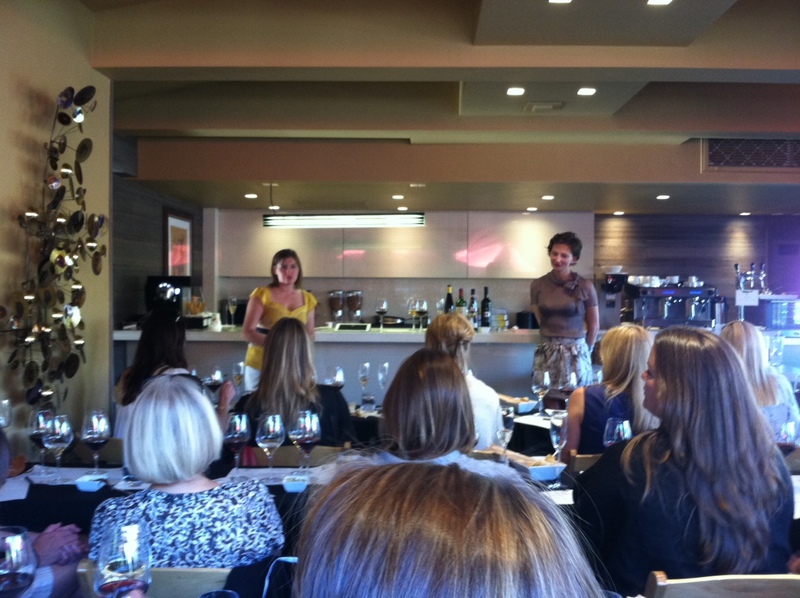 Mazaite and Helsley offer fun and relaxed advice on pairing wine and food. The evening proceeded with more wine and pasta (each class typically consists of 45 minutes on wine, 30 minutes on food and 45 minutes for questions/socializing). Other wine selections included Movia, Ribolla, Brda, Slovenia ’08; Isole Olena, Chianti Classico, Tuscany, Italy ’08; and Vajra, Barolo, Piedmont, Italy ’06. 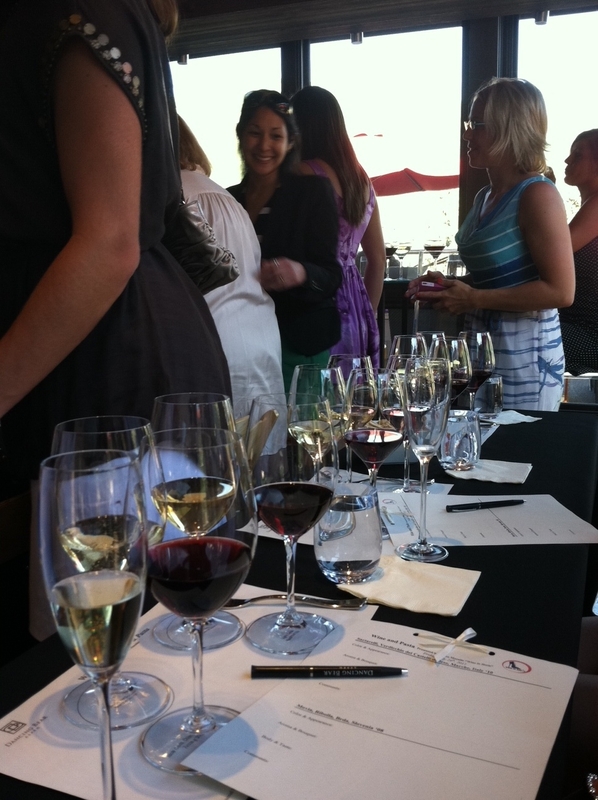 If by the end of the class you don’t remember which wine or dish you liked best, don’t worry. 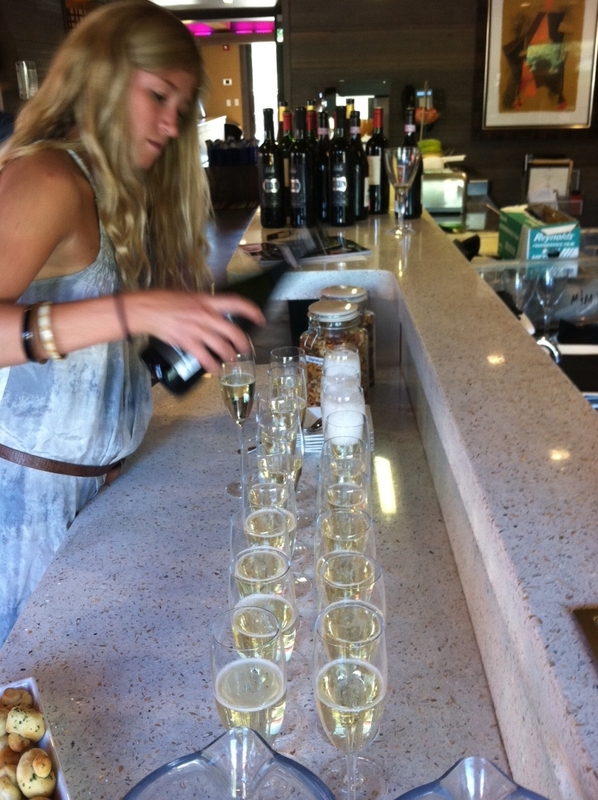 An e-book is sent to each participant with more information on the wine, as well as recipes for the culinary creations. September 23 – Wine and Tacos. Cost is $75 per person per class. Classes begin at 6 p.m., so you can hit the town in your heels after if you like. For more information or to book, call 877-773-8485, or book through The Little Nell concierge.